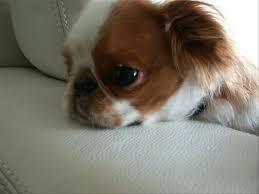 A true lapdog, the English Toy Spaniel is dedicated to becoming the world’s best couch potato. This breed does like to play too but he prefers doing so on the living room carpet as opposed to outside in the dirt and grass. After all, the dirt and grass could make his beautiful, silky coat dirty! English Toy Spaniels love being spoiled and absolutely enjoy living in the lap of luxury. To them, luxury doesn’t have to be an English estate. It could very well be a small and cozy apartment providing the dog is with the people he loves. Originally bred as a woodcock hunter, the English Toy Spaniel was loved by royalty as a constant companion and foot and lap warmer. 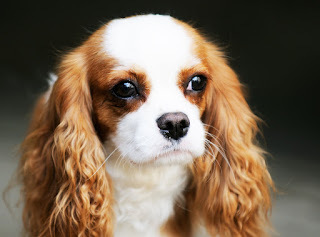 Very similar to the Cavalier King Charles Spaniel, the two are often confused with each other and bred together as well. A preferred lap dog, he's a good companion that gets along well with school-aged children and other animals. Not prone to barking, he does need regular grooming and a push for regular exercise. English Toy Spaniels (nicknamed Charlies or ETs) are not as well known as their Cavalier King Charles Spaniel cousins, and that’s too bad. People who know them appreciate their small size and calm, devoted nature. Even though his ancestors lived in palaces, the ET is the perfect roommate for an apartment dweller. If you're allowed to bring a dog to work, he’s a good cubicle pal, too. And if you like to travel? Well, he fits perfectly in a carrier beneath your seat. The most recognizable feature of the English Toy Spaniel is his head, with its domed skull, large eyes, black nose, and soft, intelligent expression. 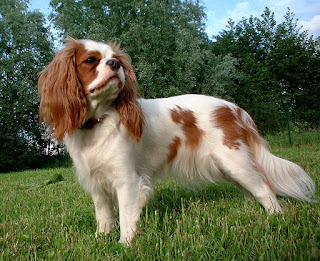 The English Toy Spaniel comes in four colors or patterns: Blenheim (red and white), Ruby (solid red), Prince Charles (tricolor), and King Charles (black and tan). In dog shows, the Blenheim and the Prince Charles compete in one class and the King Charles and the Ruby in another. Chin. At some point, they made their way to Europe and became prized as companion dogs. 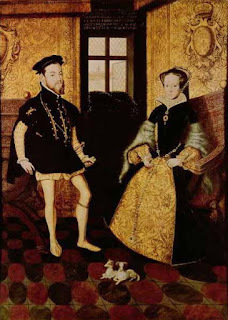 Johannes Caius mentioned toy spaniels in his book, Of English Dogges, which was published in 1574. 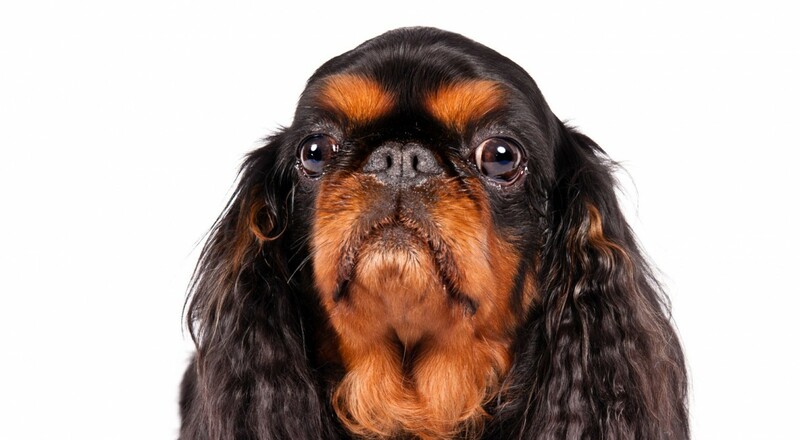 Mary, Queen of Scots had at least one toy spaniel, and it’s said that her son, King James I, received a litter in 1613 as a gift from the Emperor of Japan. In England, this breed is known as the King Charles Spaniel, because both Charles I and Charles II were very fond of the little dog. Because they were popular with royalty, they were also popular with everyone else, and it wasn’t unusual to see one pictured with the family in a portrait painted by Gainsborough, Rubens, Rembrandt, or Van Dyck. After the death of Charles II and the ouster of his brother, James II, Charles’ niece Mary and her husband William ascended to England’s throne. They brought their own favorite dogs with them: Pugs. Some people bred the toy spaniels and the Pugs together, eventually changing the look of the breed. The body became wider, the face flatter, and the skull more domed. 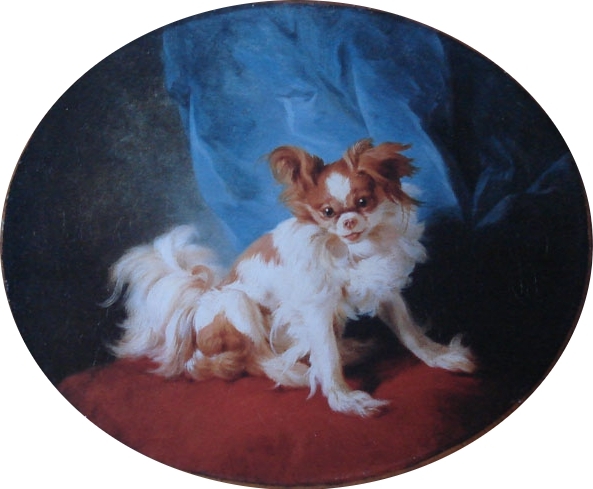 The American Kennel Club recognized the English Toy Spaniel as a member of the Toy Group in 1886. Today, the ET ranks 126th among the breeds registered by the AKC. The English Toy Spaniel, which has an average lifespan of 10 to 12 years, is susceptible to major health conditions like patellar luxation, and minor issues like early tooth loss, and "lazy tongue," a condition which causes the tongue to protrude from the mouth. A veterinarian may recommend regular knee tests for the dog. Patent ductus arteriosus (PDA), hydrocephalus, and fused toes are also seen in some English Toy Spaniels, as well as a soft spot in the dog's skull due to an incomplete fontanel closure. Some English Toy Spaniels react adversely to anesthesia. 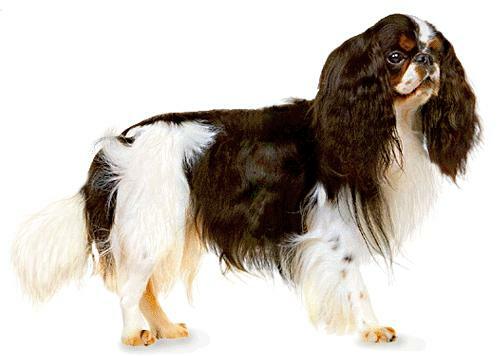 Even though the English Toy Spaniel is not very active, it enjoys a fun indoor or outdoor game or a good on-leash walk. Hot weather does not suit it and, by nature, it cannot live outdoors, away from the comfort of its family. It has a long coat that requires combing twice a week. English Toy Spaniels are pretty bright dogs. They have a strong desire to please their owners however; they have a short attention span. To keep this breed interested during training sessions, delectable treats are necessary. Charlies love tasty treats so this will keep him focused and be his reward for working hard during the session. This breed makes a wonderful therapy dog. Their small size and love for riding in the car make traveling to hospitals and nursing home facilities easy. Patients enjoy allowing this cute little dog to sit on their laps while stroking their soft coats. Everybody feels better with an English Toy Spaniel around! English Toy Spaniels are not fans of exercise. They would much rather chill on the couch than to chase a ball in the yard. Although this breed does not require a lot of activity, he does need some exercise to stay healthy and fit. Regular walks are important, but the occasional brisk trot will be beneficial to the Charlie. He might not like it; but it is needed. This breed is easily enticed with tasty treats. Puzzle toys which hide a treat within tend to keep the English Toy Spaniel intrigued and active inside of the house. Those that have a fenced yard for the dog to play in will find that the Charlie’s playfulness will have him chasing balls and other toys around the yard. 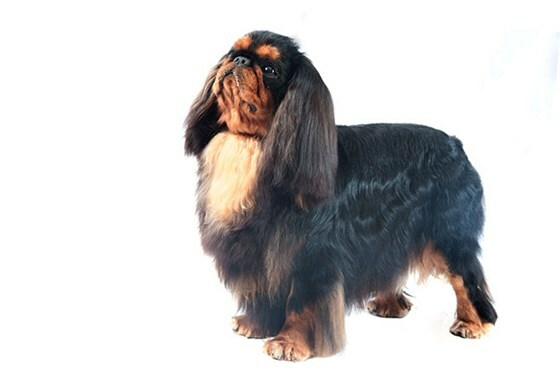 Though not the most energetic breed of dog, the English Toy Spaniel will happily spend time playing with kids. That is, until he becomes bored and needs a nap. The English Toy Spaniel has a long, silky coat that is usually straight but can be slightly wavy. Despite his long coat, this is a wash-and-go dog. Comb him out weekly to prevent mats and tangles, especially those that form behind the ears, elbows, and back legs. A bath every two to four weeks will keep him smelling good, and it doesn’t hurt to wash his face daily — mainly to prevent him from doing it himself by rubbing it on your furniture. Otherwise, simply clean the ears, trim the toenails, and brush the teeth frequently. The latter is especially important with toy breeds, which are often prone to dental disease. Charlies often have fused toes, which are a normal characteristic of the breed and not something to be concerned about. Although the English Toy Spaniel enjoys engaging in play and walks, it is necessary that he lives indoors with his family. Good with school-aged children, the breed is completely content sitting on his owner's lap all day. In need of regular companionship, he will need to be with a family that is home and available to him constantly. English Toy Spaniels used to have their tails docked, and some still do, but this practice is becoming less common. Tail docking is done at an early age, so if you want a puppy with a natural tail, let the breeder know before the pups are born. An urban legend claims that Charles II issued a special decree granting King Charles Spaniels permission to enter any establishment in the UK,overriding "no dog except guide dogs" rules. A variant of this myth relates specifically to the Houses of Parliament. This myth is sometimes instead applied to the Cavalier King Charles Spaniel. The English Toy Spaniel will be in no rush to wake up in the morning. Perfectly happy staying in bed with his family members, he will follow you to breakfast once you finally move from your comfort zone. Fill up his bowl to allow him to leisurely eat for the remainder of the day. Engage in a bit of play with his favorite toys, take him for a short walk and end the day with your English Toy Spaniel on your lap.